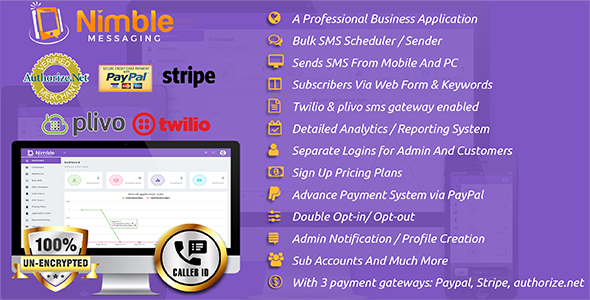 Nimble Messaging Is A Professional Bulk sms marketing application specifically designed and developed by Ranksol for Businesses, agencies and their clients to sign up, pay the price and grow their business easily. Itâ€™s one of the most affordable and convenient Texting Service Application which allow users to text each month using packages and pay via paypal and authorize.net. Below are mentioned itâ€™s new and exciting features.